In part 1 of this article, we began our discussion about how well your DUI lawyer should get to know you. We talked about the concerns the consequences a DUI charge can have to your ability to move forward, and how that fits into your overall life circumstances. Specifically, we addressed things like the suspension or restriction of your driver’s license, the impact of a DUI on your record, and its effects on your ability to earn a living. We clarified that you are NOT going to jail in a 1st offense DUI anywhere in Macomb or Wayne County, and, with only one exception, nowhere in Oakland County, either. We further noted that jail can often be avoided even in a 2nd offense charge, especially if you’ve taken the right steps early on. Finally, we examined a case that I recently handled and saw how my familiarity with my client’s work (health care professional on call 24 hours) and life situation allowed me to negotiate effectively with the prosecutor and reduce a “High BAC” charge down to an “Impaired Driving” offense, completely avoiding any mandatory driver’s license suspension. We learned, I hope, that while it’s important to know your lawyer, meaning who you hire to represent your interests in a DUI case, it’s every bit as important to make sure the person you consider paying is equally, if not more interested in getting to know you. For all the clinical, legal and technical “stuff” that comes with a DUI, unless the police really screw things up, or the evidence against you is so faulty that the Judge throws it out of court, making things better for you has a lot to do with making a good case for you. I need to be able to explain, clearly and persuasively, how and why my client is deserving of a special break. Whatever else, if you don’t start working for a “special” break, you’re never going to get one. Here, in part 2 of this article, we’ll start with the proposition that a DUI charge always bad news. Obviously, a DUI is inconvenient for anyone facing it. No one has so much extra money lying around that this charge isn’t going to hurt. Even if you make hundreds of thousands of dollars a year, chances are, you could do something a lot better with your money than blow it on a DUI case. There is no one who is or will be better off for having some kind of drinking and driving charge go on his or her driving record. Not surprisingly, I attract an eclectic mix of DUI clients. My clients are certainly more “cerebral.” Whatever else, I don’t have to endure one-sided conversations across my conference table with people who don’t think too much, and speak even less. My clients are usually people with a lot of questions, and who (rightfully) expect patient and well-informed answers. Many are nervous. As a side note, almost every week I wind up pointing out to someone that one of the more consistent and interesting ironies I see as Macomb, Oakland and Wayne County DUI lawyer is that those people who worry the most usually have the least to worry about. Instead, I think a crucial part of my job is to reassure my client about what isn’t going to happen, and realistically explain what I can prevent from happening. Here, the client and I have to cover both of our agendas. For the client, it is important to have his or her questions answered and concerns addressed I have to cover those general areas that are important to every DUI case (what happened? where were you? what time did it occur? did the officer say why he or she stopped you?) and those things that turn out to be of particular importance to any given DUI charge, as in a case where a suspension of the driver’s license can threaten a person’s job. This cannot be done in a short meeting, and that’s why my first appointment with a new DUI client usually takes about 2 hours. 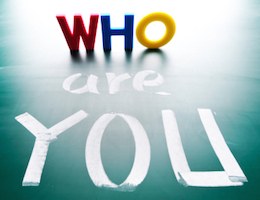 Who you are as a person certainly matters a lot in a DUI case. Being a good person won’t make the charge go away; however, if the evidence in your case is strong enough to withstand any challenges, it can be used to make many of the most serious potential consequences go away. Having a good job matters. Your concerns and fears and questions are things that you pay a lawyer to address. In the first place, you should feel comfortable discussing them. I cannot imagine how horrible it would have to be for a client to feel “funny” about asking his or her lawyer a question. Beyond that, in going over those questions, I can learn a lot about my client, and his or her life situation. Many of my clients come in to our first appointment with a list of question to go over. And precisely because I’m the kind of lawyer that is all about discussing and explaining, most of the time, when I’m done with the stuff I need to go over, my client begins crossing things off his or her list because in explaining things in the kind of detail I feel is necessary, I’ve answered many of their questions before they were asked. Sometimes, however, in asking questions, I learn other things about a client. A question about the effects of a DUI on a person’s record can lead to me finding out about a person’s true career or life ambitions. I’ve handled DUI’s for police officers, and people wanting to become police officers. You can bet that facts like those are really helpful to me in bringing about the best result possible in a given case. By the same token, you, as a potential client, can tell a lot by your first phone call to a lawyer’s office. For example, all of my consultations are done over the phone. I absolutely dread the idea of dragging someone in to the office just to answer his or her preliminary questions. I don’t mean to offend anyone, but you’re kind of clueless if you haven’t already figured out that the whole purpose of bringing someone into the office for a “free” consultation is to get him or her into the “client chair” in the first place, and then close the deal. I don’t’ work that way. If anything, I want to be “picked” by someone who has done his or her homework and finds me the best fit for his or her case. I don’t fear comparison-shopping; I encourage it. What kind of lawyer would ever advise you NOT to be an informed consumer? Not only that, but for me, once a client is in the office, our first meeting is going to last for hours, not minutes. The convenience of a consultation done over the phone cannot be beat. This way, once you come in, we can get down to business. I have always believed that the person who answers your phone call must either be able to help you right then and there, or hand your call over to someone who can. The members of the support staff of any business are really the directors of first impressions. If the person answering your call isn’t friendly (and I mean really friendly, and not just fakey-friendly), clear spoken and helpful, how much better do you think things are going to get as your call gets transferred down the line? It’s not likely that a friendly and vivacious lawyer is going to have a real “dud” on the front lines, answering his or her phones. Perhaps the bigger point here is that the importance of who you are matters in a DUI case, and that you should be able to detect that from the other side of the line the moment you call. There are a million old sayings that apply here: If it sounds too good to be true, it probably is. If it doesn’t feel right, it probably isn’t. There’s no such thing as a free lunch. First impression is a lasting impression. Go with your gut. If in doubt, don’t. All of these have relevance to your selection of the DUI lawyer who will represent you. Most of all, any lawyer you consider should want to know as much about you as you do about him or her. When you’re ready to start getting those first impressions, amongst the calls you make, be sure you call my office, as well.